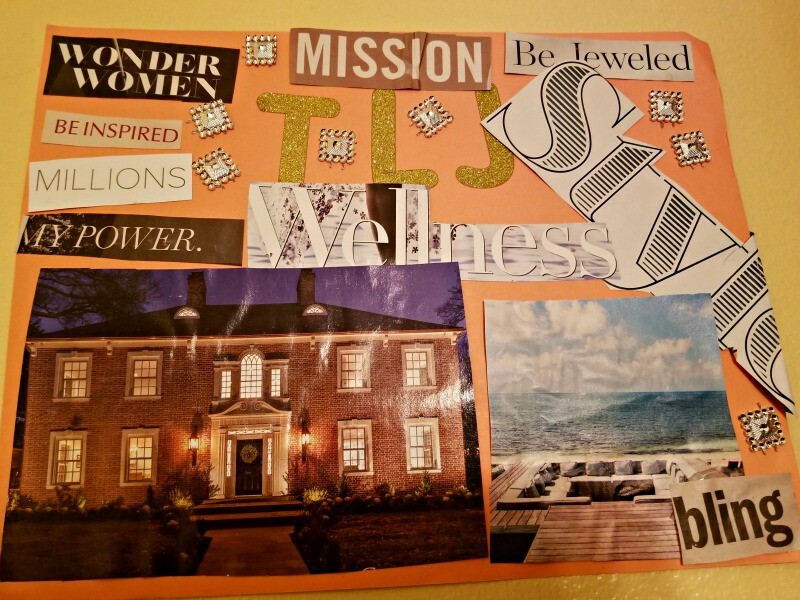 One of my favorite tools for success is a Vision Board. 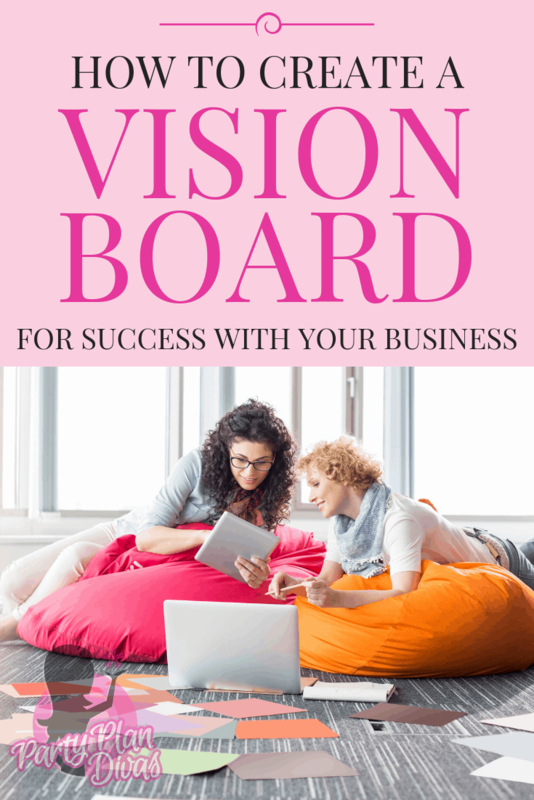 A Vision Board is simply a visual representation of your wants and dreams – all together in one place. You will activate the “law of attraction” to attract those things into your life. There is no “right” or “wrong” to a Vision Board. It is all about what inspires you! You can even host a Vision Board Party and gather your friends, team members, or colleagues to create them together! To make a Vision Board simply get a poster board and your favorite magazines and just start cutting! No gluing yet! Just cut out pictures that you see that evoke some kind of emotional response. Maybe it is a beautiful car or a family holding a baby, maybe it is a beautiful beach or the Eiffel Tower – whatever you want, cut it out and put it in a pile. You can also cut out words and phrases that mean something to you – but know that images are what should take up most of your Vision Board. Note: I have been teaching this for years, and I missed a very VITAL step! While I was at Spark & Hustle we began talking about Vision Boards and one woman said she had forgotten to put MONEY on her Vision Board. 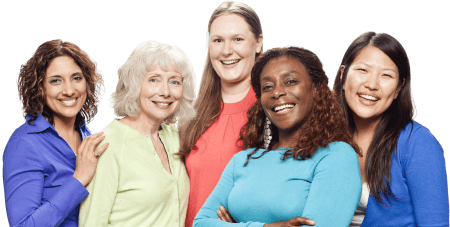 She had put the cars and the beaches and the homes and stuff – and she had even RECEIVED those things over time… but she still struggled with having the cash flow always to pay for those items each month. Once she figured it out, she found a big image of money and stuck it right in the center of her Vision Board. Once you have all of your images cut, begin arranging them in whatever order feels right to you. Do not over think this part – if you just clear your mind and begin, your hands will just kind of arrange everything in the way it is supposed to. Glue the images and words down, and add any other embellishments that you want. Let your Vision Board dry completely, and then hang it somewhere that you will see it every, single day. 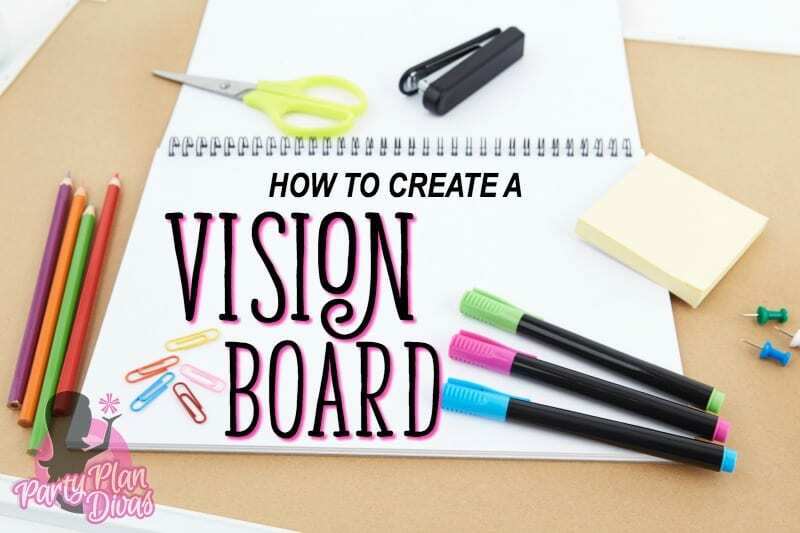 A Vision Board is a simple, but powerful tools for creating and receiving the life you want. Want to go a little more techy for your Vision Board? Check out this ground roundup of Vision Board Apps! 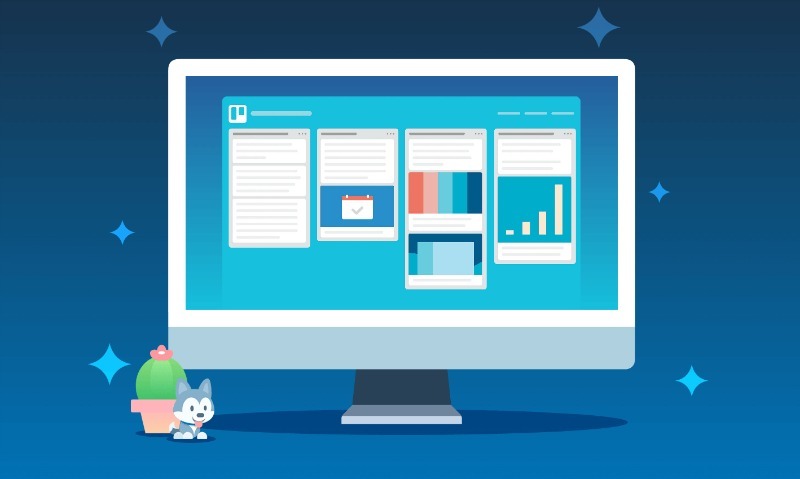 I have also used Trello for my Vision Board – putting goals right alongside them! However you choose to design your vision board, spend some time on it today and watch the Universe start working to give you what you see!